New Tri-Service Commands — how effective will they be? 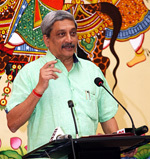 As per media reports, Defence Minister Manohar Parrikar on August 19 has directed HQ IDS to "work out and fine-tune" the "basic structures" for the Cyber, Aerospace and Special Operations Commands. China may have been referred to as Dragon in the past but in yin and yang terminology the dragon is yang that complements yinfenghuang (Chinese phoenix). Chinese emperors used dragons as royal symbols albeit some depictions of the Chinese dragon are of a snake-like creature with four legs. New DPP — what should be its contours? The country, most prominently the private defence manufacturers await the new DPP with baited breath. The 10-member committee appointed by MoD was to submit its report on July 31. 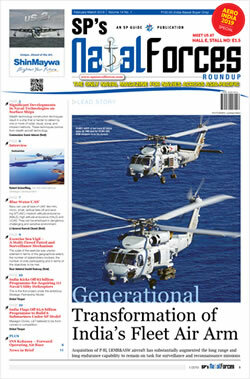 The acquisition of Sikorsky Aircraft will enable Lockheed Martin to access new markets abroad and add value to its portfolio through enhanced sales in the military segment of its business. Trust the media to go berserk anytime PM Modi is likely to meet. So it was expected that when they did meet in Ufa, Russia on the sidelines of the BRICS and SCO summits on July 10, the media went overboard declaring it was a tremendous 'breakthrough'. 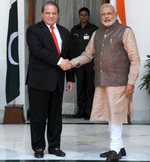 Modi-Nawaz meet in offing — but Outcome? Media is agog with news of possibility of Prime Minister Narendra Modi meeting his Pakistani counterpart Nawaz Sharif on the sidelines of the annual summit of Shanghai Cooperation Organization (SCO) in Russian next month. 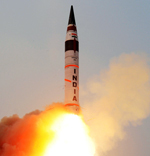 Leadership changes in DRDO signal the determination of the government to propel the organisation to attain significantly higher levels of indigenisation in defence hardware with enhanced levels of accountability. 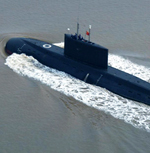 Chinese Naval Presence - A Threat to Indian Ocean Region? 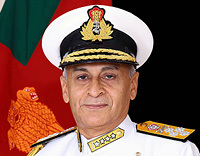 PLA Navy's activities are minutely monitored by Indian Navy and our belief is that the responsibility of protecting Indian Ocean and our coastline lies with the Navy. 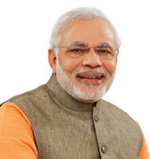 When the National Democratic Alliance (NDA) came into power in the Centre on 26th May 2014, the general perception and expectations in the armed forces were that it will follow a pro-active policy on the external security front and will be more sympathetic on the welfare issues of the armed forces personnel. The Year Gone By — Not in Vain! The government has the capability to deliver; but will need time. 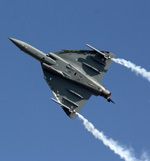 It is envisaged that under a new procurement policy, at least half of India's total weapon and equipment needs in the next 10 to 12 years (worth more than $100 billion) could be produced domestically. The present NDA government was sworn in on 26 May 2014. Thus one year later there is an intense debate in the country about the progress made by this government on all fronts and the results are mixed. 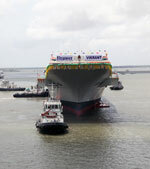 Past one year has witnessed a positive push forward by the Government for the dormant schemes, especially for the sub-surface fleet where the capability gaps are widening, is indeed re-assuring. The speed with which the DAC has cleared the "single vendor" Airbus-TASL proposal for the 56 C-295 aircraft is indicative of a welcome change in the approach of the bureaucracy towards defence procurement. Defence Minister Manohar Parrikar acknowledged on sidelines of Aero India 2015 that Make in Defence for the defence sector required streamlining. It is but typical of China to shroud her intent in a cloak of ambiguity. Close on the heels of Sri Lanka's Foreign Minister Mangala Samarveera's 'pilgrimage' to New Delhi came the state visit by President Maithripala Sirisena to India starting today. This episode has uncanny similarity with the one on November 26, 2008, sponsored by the Inter Services Intelligence (ISI) of Pakistan. After a long break, India finally has a full time Defence Minister in Mr Manohar Parrikar.